The programs and activities at Sidewalk University are made possible by gifts and grants from generous individuals, foundations, corporations, civic groups, and government sources. Gift of Sight for the Underprivileged, Karate Classes, Track & Field, and more. Thank you for your support!! Providing education and action plans for optimal health, nutrition, weight management, and obesity prevention. By helping children, families, the elderly, and others in need, we are restoring people’s health and giving them a life. 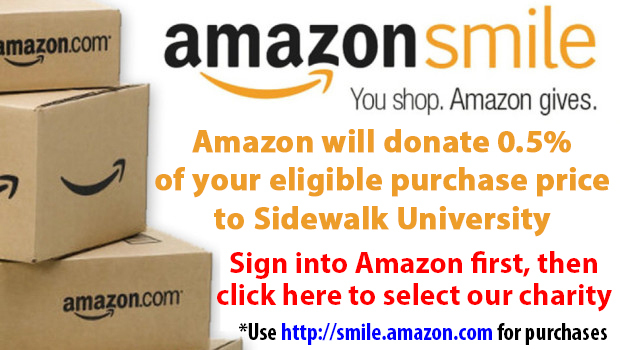 Sidewalk University is a 501(c)(3) non-profit organization. For tax purposes, donation confirmation is provided.